Start by choosing a recipe and making sure you have all of the ingredients. 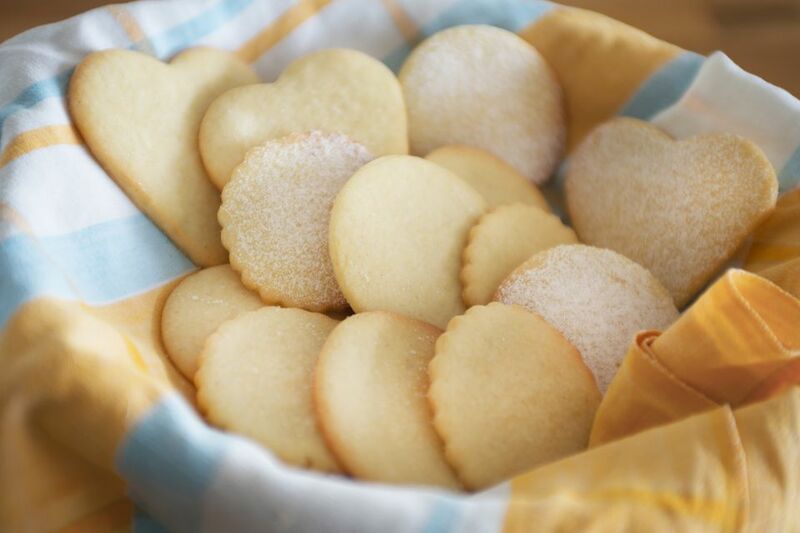 Here, we're using this one for classic buttery sugar cookies. Once you have ingredients ready, allow them to come to room temperature. Meanwhile, pull out your stand mixer, measuring cups, mixing bowls, cookie sheet and preheat the oven to 375 F.
Creaming the butter and sugar is the first step in the actual dough-combining process. While this recipe only requires butter and white granulated sugar, others may call for shortening or brown sugar as well. Next, add the egg, milk, and vanilla. Scrape down the bowl and paddle attachment with a rubber spatula to make sure everything has combined thoroughly. In a separate bowl, sift together the flour and baking powder. Gradually add the dry flour mixture to the wet butter mixture with the mixer running on low (any faster and the flour will go everywhere!). Mix until just combined—you don't want to overwork the dough or the cookies will turn out tough. Turn the mixture out onto a lightly-floured surface and, using the heel of your hand, flatten the dough into a thick round. Wrap in plastic and chill in the fridge for at least 30 minutes or overnight. Once the dough has chilled, remove it from the plastic wrap and drop it onto a lightly-floured work surface. 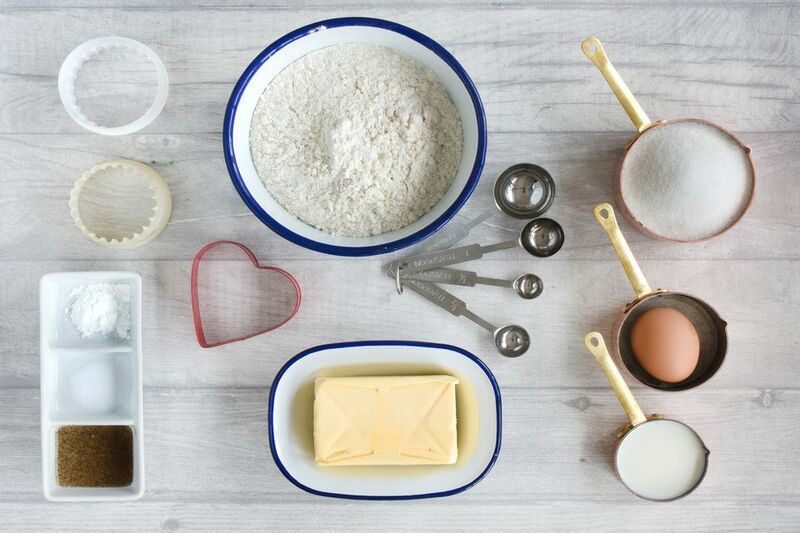 Cover a rolling pin with flour so the dough won't stick and roll out it out to about one-eighth of an inch thick. When you have the dough at the right thickness, use a cookie cutter to cut out different shapes and place them on an ungreased cookie sheet. Place them at least two inches apart to give them room to spread. If you're not icing the cookies, brush the tops with milk and sprinkle the top with sugar. Bake for 8 to 10 minutes until golden.